Last week I had the tremendous honour to teach in High River. You may not know or remember that High River was one of the communities devastated in last year's flood. It is a small town south of Calgary. The Highwood River runs through it and during the flood that was a bit of an understatement. The Highwood River barrelled over, under and through it. A few months back I got a call from a quilter from the High River Handicrafts Guild. Would I be interested in teaching Slabs to the Guild? How they found me is the best part. One of their members received a donated quilt after the flood. She loved it so much she started researching it. And it contained slabs! But the story goes further back than that. The quilt was made by someone else that I taught slabs too in one of the other local area guilds. 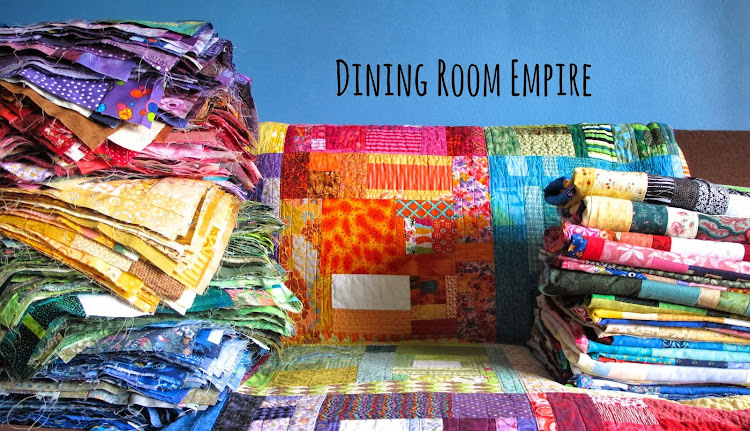 She turned her slabs into a quilt, then donated it. 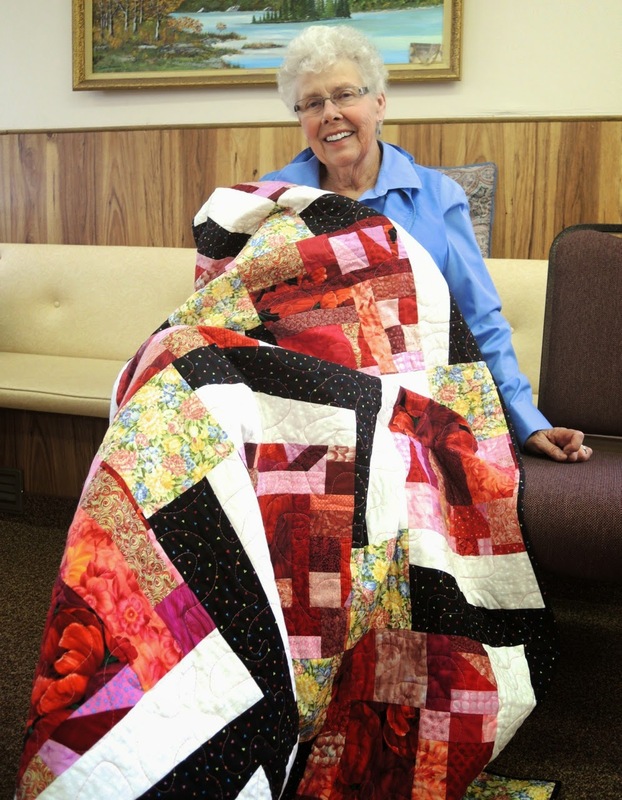 Shirley, in High River, received the quilt. Shirley told me that the quilt has become her 'blankie'. Providing all the comfort that the word implies and then some. On top of that, I know the original quilt maker outside of quilting because her grandkids and my kids are friends, we live in the same neighbourhood and they go to school together! Not nearly as crazy as the flood and the fact that the community is still dealing with the aftermath. The centre where the class took place is a block from the river. The houses and apartments surrounding it are either still empty or you see the evidence of recovery in the form of new windows. Crews were moving earth and rocks outside to fortify the shoreline as we head towards spring run off. All morning phones were going off with alerts as they were doing emergency services testing in the community. 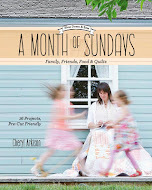 Then were the quilters telling me about living in hotels for 6 months or more, the stress on disabled family. How they were just getting carpet installed that day. How they couldn't go home. What the wall of water was like. And about the generosity of other guilds in donated fabric and machines to replace all that was lost. How they themselves decided to give back as a first project once they could sew again. The entire morning was humbling. There were tears and a lot of laughter. And so much sewing. Thank you to the High River Handicrafts Guild for having me. 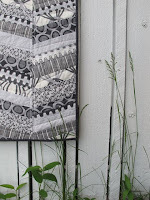 And I can tell you this for sure, I am super motivated to get the last of the Just One Slab quilts done. There are about a dozen in various states of completion at my house. The rest have or are being finished and donated. All will be in by the flood anniversary. That is one awesome story about the power of connection and doing good after something awful! How cool! I've always said that the prairies are just one big small town and that's another example of why it's true. My aunt, a quilter, and uncle lived in Millarville for years, had to gut and redo the basement after the floods about a decade ago and then moved to High River in 2010? They moved to BC less than 6 mos before the flood. 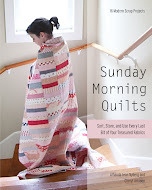 It makes me feel good every time quilters give comfort to others like this. Good job girl! 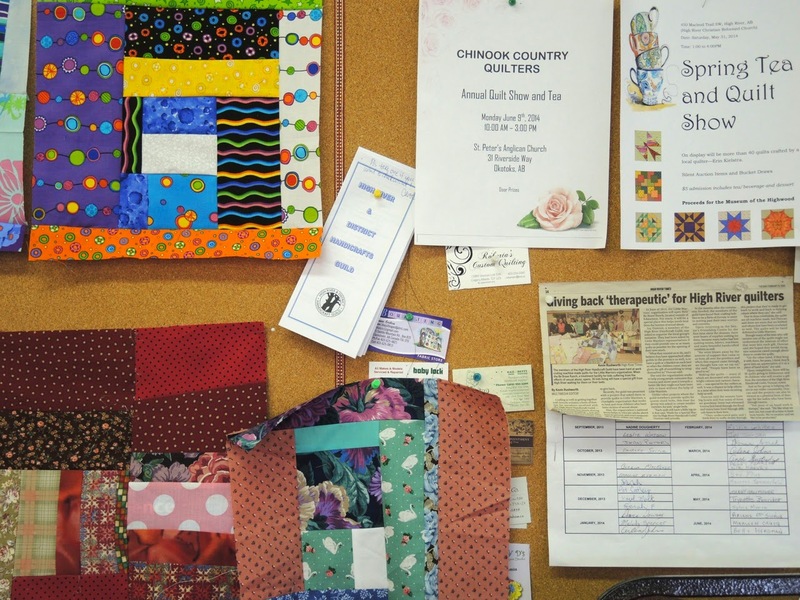 Chery: Thanks to you there are quilters all over the place making slab quilts and donating them to causes that they are connected with. The modern quilt group in our guild chose making a group slab quilt as our first project which will be donated to the pediatric sexual assault unit at our local hospital.